Man is no stranger to the healing power of the Sauna: from the Finnish, to the ancient Greeks, to Native Americans, the practice of thermal therapy has spanned generations and continents. ANTI-AGING EFFECTS: Infrared saunas offer a healthy, low-cost alternative to expensive skin creams for those of us seeking the elusive “Fountain of Youth”. Infrared heat penetrates deeply into both the epidermis and dermis layers of the skin, promoting both healing and collagen growth. The result? Reduced wrinkles, minimized pores, and an overall improvement in skin tone. ARTHRITIS RELIEF: Since the dawn of time, heat therapy has been widely used by individuals suffering from various rheumatic disorders, including arthritis. Recent studies have found that infrared saunas provide relief from pain and stiffness associated with arthritis, as well as an increased range of motion in affected joints. 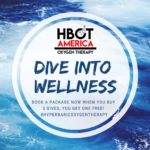 CARDIOVASCULAR HEALTH: Much like exercise, thermal therapy can provide a wide range of cardiovascular benefits, including lowered blood pressure, improved circulation, and enhanced vascular function, to name a few. Clinical studies have also found that frequent sauna bathing is associated with a reduced risk of sudden cardiac death, fatal cardiovascular disease and fatal coronary heart disease. CELLULAR HEALTH: Far-infrared therapy invigorates the circulatory system, allowing it to more efficiently provide oxygenated blood to our body’s cells. This nutrient rich blood optimizes cellular health and functioning, boosting our immune system and strengthening our ability to recover from muscle and tissue injures. CHRONIC FATIGUE SYNDROME TREATMENT: Those afflicted by Chronic Fatigue Syndrome (CFS) can attest to the debilitating nature of the disorder, which is characterized by unexplained fatigue, muscle pain, fever and insomnia. Far-infrared technology offers the promise of a new treatment modality, as several studies have shown that fatigue, sleep disturbance, pain and low-grade fever are all dramatically reduced in individuals undergoing sauna therapy. DEPRESSION: Symptoms of depression can be extremely varied, and range from feelings of anger and sadness, to a loss of interest in daily activities, to insomnia, fatigue, and trouble concentrating. Thermal therapy has shown great potential as a treatment for those suffering from mild and severe forms of depression, as multiple studies have confirmed that physical and mental complaints, hunger, and relaxation improved in patients suffering from depression and appetite loss. DETOXIFICATION: The human immune system is based upon a series of biochemical processes, which is a fancy way of saying that the chemicals in our body can have a profound impact on our immune system. One of the most efficient and healthy way to remove unwanted chemicals from our body is through the process of sweating, which allows the pores in our skin to open and expel wastes and toxins. Infrared saunas stimulate the body’s sweat glands, promoting the release of a variety of harmful substances found in our cells. DIABETIC SYMPTOM RELIEF: Decreased quality of life is prevalent amongst individuals suffering from Diabetes, and poor health outcomes often result from the various symptoms associated with the condition. Sauna therapy offers a promising new treatment, as a recent clinical study found that physical and general health, as well as social functioning, improved for participants who underwent treatment in a far-infrared sauna. IMPROVED CIRCULATION: The heat that is distributed throughout the entire body during an infrared sauna session produces a dilation in peripheral blood vessels similar to that seen during exercise. As blood vessels expand in an attempt to cool the body down, circulation to the extremities is markedly improved. In fact, blood flow can be stimulated to nearly twice the speed experienced at rest, resulting in improved circulation with minimal exertion. LOWER BLOOD PRESSURE: Far-infrared rays have the unique ability to penetrate deeply into our body, inducing a powerful sweat that elevates heart rate and increases blood flow throughout the body. This increase in cardiac activity, similar to that experienced during aerobic activity, has been scientifically proven to lower blood pressure. WOUND HEALING: Infrared therapy has the power to not only heal injury to muscles, joints and tissues, but can also accelerate and enhance the healing of external wounds and burns. Studies have shown that far infrared heat encourages faster cell regeneration and reduces the risk of infection by bolstering the immune system. WEIGHT LOSS: Much in the way in which it lowers blood pressure, clinical studies have shown that just one session in an infrared sauna can burn nearly 600 calories. As the infrared heat causes a rise in core temperature, the body will attempt to cool itself down by increasing the amount of blood the heart pumps to the skin surface. This increase in blood flow in turn creates a boost in metabolism, meaning that you are burning more calories and shedding pounds without having to exert yourself. PAIN RELIEF: Infrared waves have the unique ability to penetrate nearly 2” deep into muscles, soft-tissue and joints in a way that even the most skilled masseuse cannot. 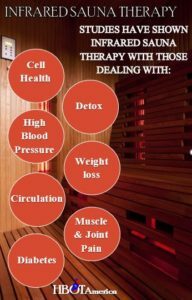 In fact, studies have shown that infrared saunas are highly effective in treating everything from minor aches and pains to chronic pain and stiffness from conditions such as fibromyalgia, arthritis, and other inflammatory diseases. Sauna therapy has also been clinically shown to speed up the recovery process in injured athletes. RELAXATION: You are probably already aware that stress can have a major impact on your health and wellness, both physical and mental. Studies have shown that stress and anxiety can not only exacerbate certain pre-existing medical conditions, but can also wreak havoc upon the immune system, leaving the body and mind vulnerable to a wide range of new afflictions. Mitigating stress and anxiety is crucial to maintaining a healthy, balanced life. The gentle, soothing heat of the infrared sauna is a great way to relax the mind and body, setting the foundation for a happier, healthier you! As you can see, the benefits associated with far-infrared sauna usage are numerous and varied. Research has shown that thermal therapy is a safe, natural tool for healing that can be easily incorporated into any home wellness routine. If you are interested in learning more about how infrared saunas can help you achieve a happier, healthier you, give us a call at (832) 986-5144 and one of our friendly customer service team members will be waiting to assist you. *if your looking to purchase a Infrared Sauna for your own home give us a call and we can walk you through the process of having your own JNH Lifestyles infrared sauna!